Impress your friends and coworkers with these awesome Star Wars Darth Vader Black and Gold Cufflinks. 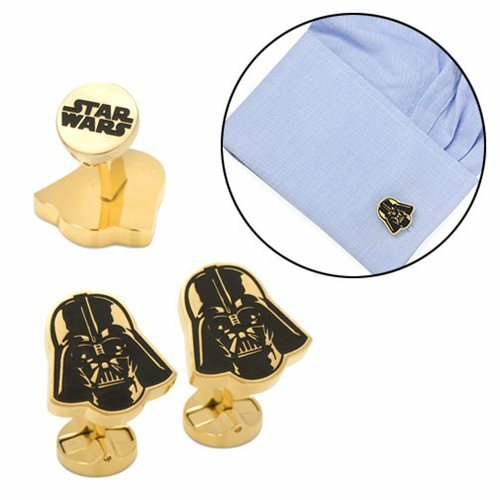 Featuring the imposing helmet of Darth Vader, these cufflinks will make your outfit much more impressive. Measuring approximately 3/4-inches tall x 3/4-inches wide, these are made from black and gold plated stainless steel. It also displays the Star Wars logo on the round swivel closure.